Nigeria’s breakout music star of 2018 – Teni “The Entertainer”, signed to Dr. Dolor Entertainment, rounds up the year in style with 2 brand new singles to confirm her current status in the music industry. Armed with a musical brilliance that’s second to none, “Teni” dishes out her latest singles “Case” and “Shakeam”, for your listening pleasure and speakers, as we approach the busy festive period. 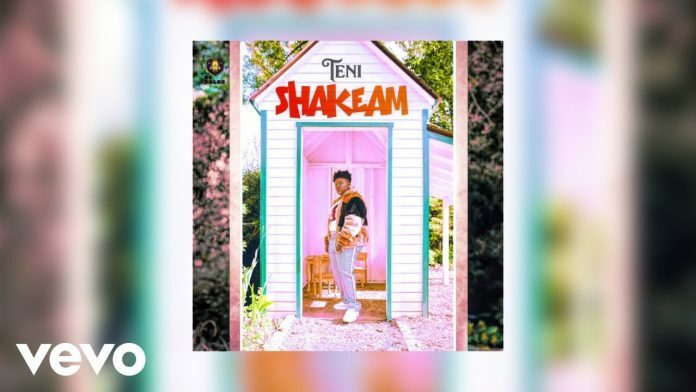 “Shakeam”, a potential afrobeat classic, Teni takes a completely different route as she shows her versatility on this fast-tempo tune, as she continues to prove all doubters wrong with her musical prowess. “Shakeam” and “Case” are definitely headed for your speakers.